Loosely translated as “Supreme Ultimate Boxing”, from its gentle movements, most people would assume that Tai Chi or Tai Chi Chuan is anything but lethal. This popular Chinese internal martial arts discipline emphasizes deep breathing and relaxation with slow, repetitive movements as opposed to muscle contractions found in ‘hard’ martial arts disciplines such as Kung Fu, Karate, and Taekwondo. But even if it doesn’t appear as aggressive, Tai Chi offers powerful self-defense techniques and is often regarded as a ‘healing’ martial arts that, when practiced regularly, comes with an abundance of benefits. On this post, we’ll cover all you need to know starting with what is Tai Chi, its history, benefits, to tips on how you can begin your own practice. Read on to find out whether it is right for you! Though its exact history is unknown, Tai Chi is widely believed to have been developed in the 12th or 13th century in China. Originally created as a self-defense discipline that simultaneously promotes inner peace, it is thought to be closely tied to Qigong, ancient Chinese martial art that has roots in Traditional Chinese Medicine. 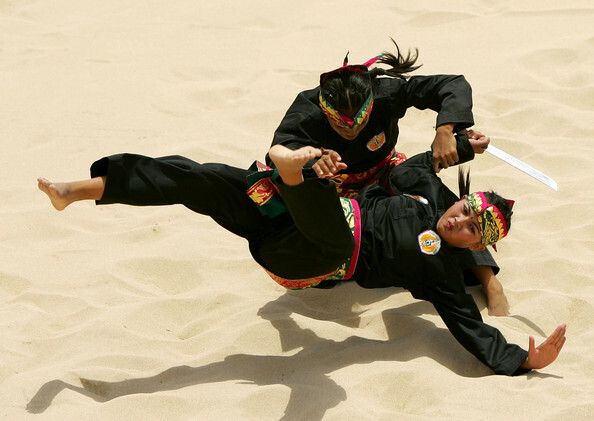 Fast forward to today, it remains one of the most popular martial arts styles in China. Usually performed in groups, in the morning in parks and open spaces, over the past decades, its practice has steadily increased outside of its country of origin – including in western countries such as the U.S. The core philosophy of Tai Chi is deeply rooted in Taoist philosophy: keeping the balance of the Yin and Yang, the opposing elements that make up the universe that need to be kept in harmony. Yin is believed to have the qualities of water such as stillness, inward and downward directions and is feminine in character. In contrast, Yang tends to be masculine and has qualities of fire, such as heat and includes upward and downward movements. In Taoism, it is believed that in order for one to be healthy, their Yin and Yang need to be in balance – this can be achieved through the practice of Tai Chi. There are many types of Tai Chi, all derived from the original Chen family style. However, there are 5 main styles that are commonly practiced today. The differences between them lie in the speed of the movements and the way the body holds postures. Each set of carefully choreographed routine consists of movements that flow effortlessly from one to the next. Though varied, these five Tai Chi styles are similar and are connected to each other. Hence, it is common for Tai Chi practitioners to combine two or more styles. Yang Style – The most popular style out of the bunch, the Yang style is widely practiced around the globe. 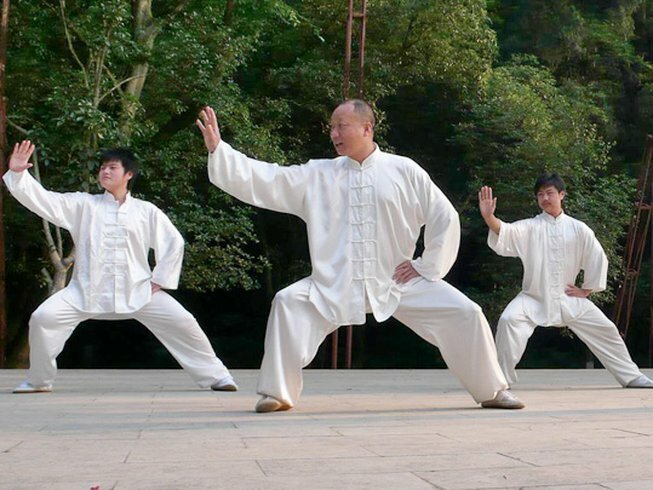 If you happen to stumble upon a group of Tai Chi practitioners in your neighborhood park, chances are, they are performing Yang Style movements. It is developed by Yang Luchan that emphasizes slow, even, gentle, and large movements. 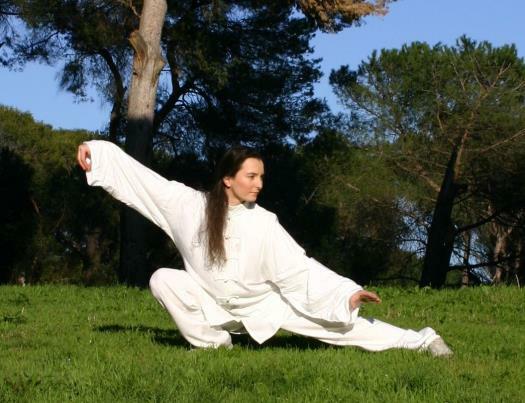 Chen Style – The oldest and considered to be the ‘parent’ of the five Tai Chi styles. It alternates between fast and slow movements combined together with some jumping and stomping. Wu/Hao Style – Also referred to as ‘The 1st Wu style’, it is the result of the combination of Yang and Chen styles. The movements are done in smaller frames with slow, smooth movements and a high posture. 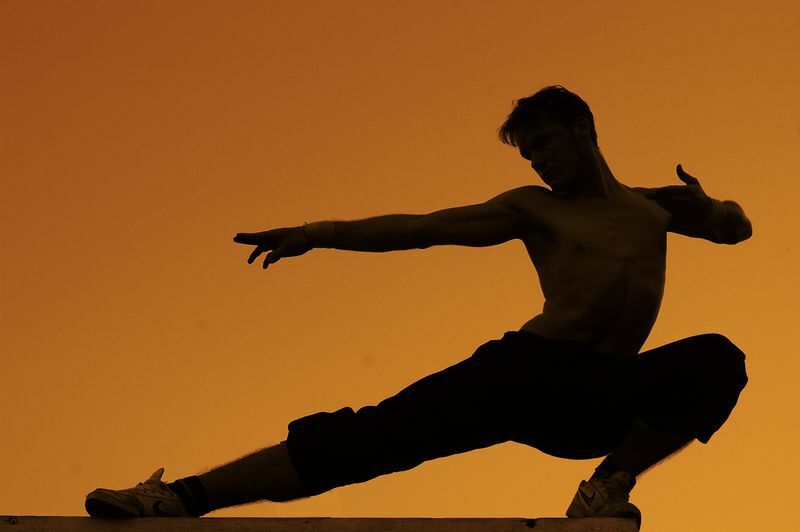 Wu Style – Dubbed as the ‘The 2nd Wu style’, it is the second most popular style practiced today. The defining differences of this style are in its hand form, pushing hands and weapons training. Sun Style – This style focuses on smooth, flowing movements that exclude the more rigorous physical movements found in the other four styles, such as crouching and leaping. Due to its extra gentleness, it is most suitable to be used for physical therapy. WHO SHOULD PRACTICE TAI CHI? This low impact, ‘soft’ martial arts style is very practical as it requires no equipment and can be done just about anywhere. As it doesn’t put much pressure on bones and joints, it is commonly practiced by the elderly to stay physically active. Since it offers a range of health benefits, it is widely practiced in hospitals and rehabilitation centers by those who are recovering from illness or functional limitations. That said, Tai Chi is also highly beneficial for people of all ages who are still in good health and seeking to maintain their health and fitness. Additionally, it is recommended for those who wish to learn powerful self-defense moves in a non-strenuous (you are encouraged to learn at your own pace) and safe way (minimal risk of injury). Lastly, developing internal power before learning external or ‘hard’ martial arts styles such as Kung Fu can also prove to be very useful. Tai Chi can complement existing martial arts practice as it allows you to relax, regenerate and increase focus. 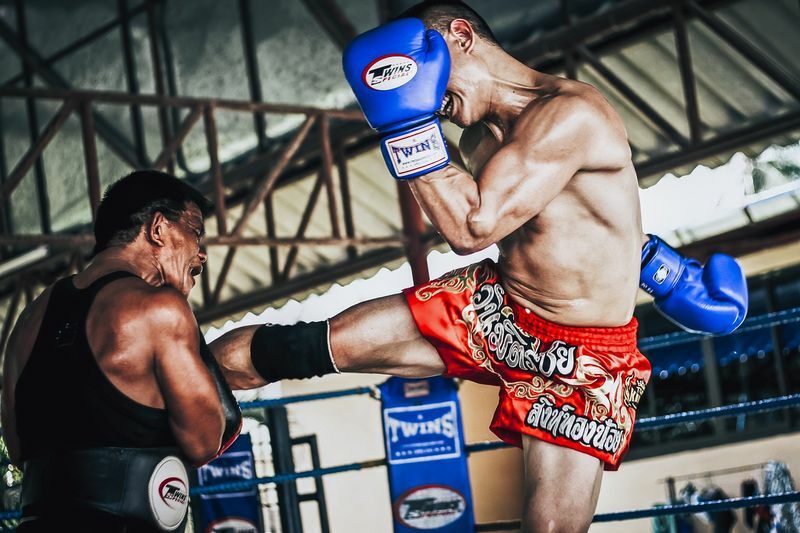 It emphasizes the use of internal energy and slow yet powerful movements that enable those who master it to deflect their attacker effortlessly. Tai Chi movements often ‘fool’ people due to their subtlety, but be warned, when performed correctly, they are certainly lethal enough to neutralize opponents without the need of exerting much energy. It develops muscle strength – Similar to resistance exercises, when practiced regularly, it can help to develop both lower-body strength and upper-body strength. As muscles are responsible for pumping fluid and blood throughout the body, the stronger they are, the better the functions of our body’s organs and joints become. Muscle developments can also help reduce chronic pain resulting from Osteoarthritis. It increases physical balance – Findings from a 2012 the National Center for Biotechnology Information study of over 150 individuals over the age of 65 who had already sustained injuries as a result of a fall, illustrated that in comparison to traditional physiotherapy, Tai Chi was more effective in preventing future falls. This is because Tai Chi helps trains balance and proprioception, which has a tendency to deteriorate with age. It improves flexibility and posture – Though its movements are far less demanding than many poses found in yoga, Tai Chi has been found to help with flexibility and posture of practitioners of all ages – not just the elderly. Being more flexible can assist us to be more active as it improves our range of motions and movements. It enhances Cardiovascular fitness – In 2011, The National Center for Complementary and Integrative Health reported that Tai Chi shows promise as a complementary to standard medical care for those who experienced chronic heart failure. Whereas an Emory University study that was done in 1996 on over 100 post-heart attack patients revealed that those who participated in Tai Chi classes had better Cardiovascular fitness and lower blood pressure than those who did not. Often referred to as a moving meditation, Tai Chi is one of the most powerful mind and body exercises. Since it requires focus and self-awareness, it can be potent in reducing stress. Furthermore, a BioMed Central 2010 report found that the regular practice of Tai Chi improves psychological well-being, as it reduces anxiety and depression and helps to increase self-esteem. Similar to yoga, Tai Chi may encourage spiritual growth, even if it isn’t a goal you intend to achieve when starting your practice. Its inward focus and cultivation of mindfulness help to establish a connection with the world, especially when practiced in nature. Mitch Williams, a Tai Chi instructor based in Canton, Illinois, U.S and the blogger behind Mitch Inspires blog, shared that Tai Chi has vastly improved his skill levels in Judo and performing sleight of hand magic. It has helped him to train for heightened sensitivity and responsiveness to subtle movements and shifting of weight that is crucial in attaining advanced fighting skills. Additionally, he admitted that, at times, his practice has been the source of tremendous inspiration and creative and artistic breakthroughs. Ready to get started? Though Tai Chi is one of the safest forms of martial arts and physical exercise, it is best to consult with your doctor before starting your practice. It may not be suitable for those who have musculoskeletal limitations, or if you are taking medications that tend to make you lightheaded. Books or DVDs – If you prefer to learn in the comfort of your own home, there are plenty of helpful tutorial books on Tai Chi. However, it can be difficult to replicate Tai Chi movements accurately through mere illustrations or still photos. So, we highly suggest for you to check out Tai Chi DVDs instead, such as “Discover Tai Chi for Balance and Mobility” by Scott Cole, a Tai Chi expert who has had nearly two decades of training. Apps – Want to have access to Tai Chi instructions with you at all times? Perhaps a Tai Chi app is what you’re looking for. Download a Tai Chi app such as “Yang Tai Chi for Beginners” on your mobile phone or tablet. It will help you with your practice anytime and anywhere! Take a class –There’s simply no better way to learn Tai Chi than taking a class as it enables you to see the movements in action, ask questions, get feedback, and meet like-minded people! 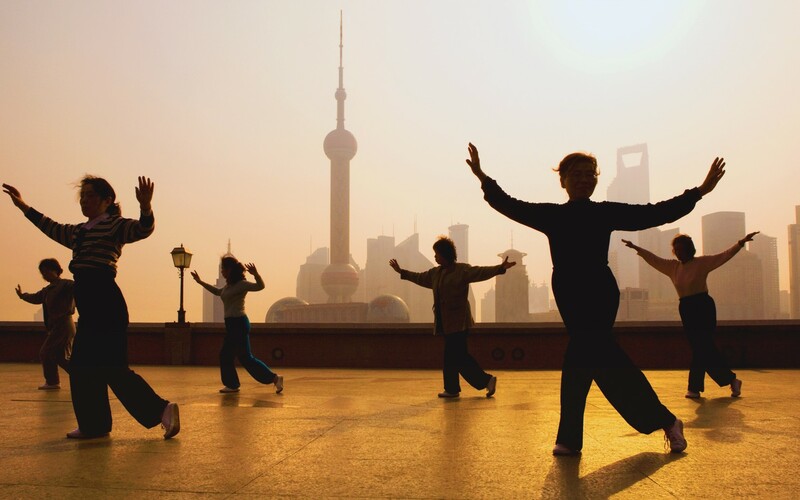 Though Tai Chi can certainly be performed solo, to minimize the risk of injuries it is best to be practiced with expert supervision and in groups. 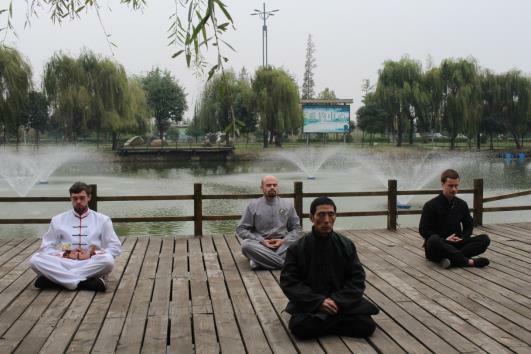 If you are interested in learning authentic Tai Chi in its origin, we highly recommend you to go on a Tai Chi retreat in China! Whether you’re a beginner or an advanced practitioner, a training camp can assist you to get the most of your Tai Chi practice! Want to become as strong as oak, flexible as willow and clear as still water? 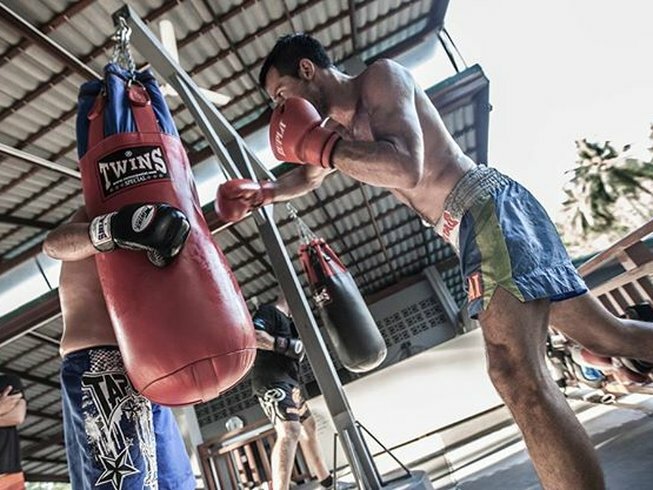 Sign yourself up for a martial arts training camp that is bound to get you there! Lystia is the Marketing Manager at Tripaneer, the awesome global theme travel company that owns & manages BookMartialArts.com. She's fascinated by all types of martial arts and can't get enough of martial arts moves both on screen & off.